For a bride to have her epic fairy-tale moment, classic literature and romantic comedies tell us that her groom must not see her in her wedding dress until she begins her walk down the aisle, but the emerging popularity of “First Look” photos on Pinterest and online bridal magazines have many couples rethinking this time old tradition. 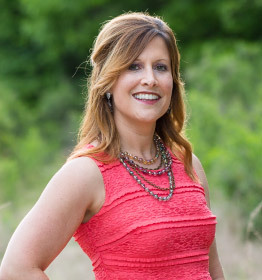 When recalling my own wedding day, I now realize the only thing I would do differently would be for Jason and me to ignore our traditional wedding preconception by having a First Look session of our own. 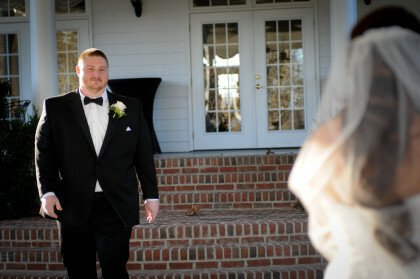 Once the First Look takes place, the bridal party can take photos prior to the ceremony, too, which allows everyone, including the bride and groom, to attend the cocktail hour before the bar closes. And who doesn’t want to get their party started as soon as possible?! Since we held our ceremony and reception in the same venue, we did not have the luxury of scheduling a 2-3 hour break between the ceremony and reception. Instead, Jason and I had approximately 60 seconds to ourselves after the ceremony before we rushed back out to greet all of our guests and begin the 70 minute dash to get all of our bridal party, family and couple photos completed, including a race in my friend’s minivan to have our wedding photos taken at my university’s most picturesque spot. 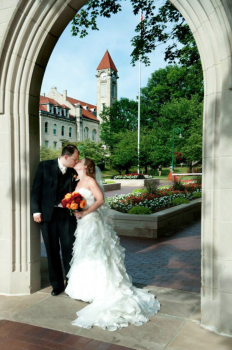 Now I realize that every time I see the Sample Gates in person or on TV, they would be even more meaningful to me had it been where my soon-to-be husband had first seen me in my wedding dress. Plus, I so wish we had been able to enjoy even a portion of our cocktail reception with the passed hors d’oeuvres that I’m told were delicious and the incredibly talented jazz band that wowed our guests when they realized it was made up of middle school and high school students. Do you want to experience the emotions of a First Look photo session but still have your mind set on sticking with tradition? Wedding photographers have come up with imaginative First Look settings that allow the bride and groom to share a moment together before their ceremony but still have their traditional walk down the aisle. 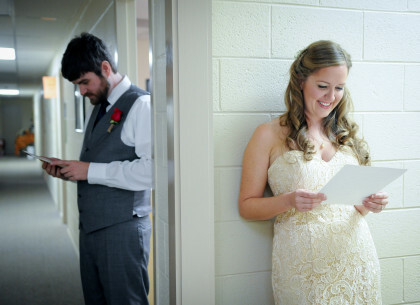 Among the most popular photos are those of couples holding hands while standing on either side of a door and, like the photo below, of the bride and groom reading the letters they have written to each other. 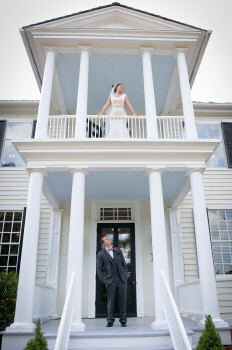 My personal favorite is this Southern inspired “Romeo & Juliet” photograph taken at The Sutherland by my friends at the Wake Forest Portrait Shoppe. Ultimately, the most important thing to consider is what best suits your personalities. 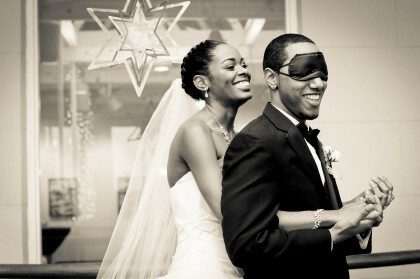 Will having a First Look session ease your nerves or increase your worry that you’ll stammer your vows? Do you think you’ll miss out on quality time together if you wait for the traditional walk down the aisle, or do you have enough time between your ceremony and reception to fit everything in? Before deciding when you want to first see each other on your wedding day, ask yourselves which scenario will best capture the emotion you want to remember for the rest of your lives, discuss it with your photographer and wedding coordinator, and then go with your heart.